Peepka character art created by Heath Williams for Last Shot (left) and a Peepka pin (right). 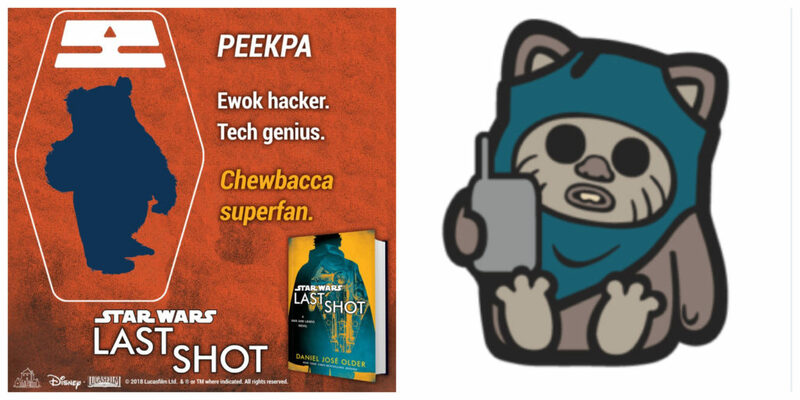 Peekpa was an Ewok tech genius and slicer in Daniel José Older’s novel Last Shot. She also was quite fond of Chewbacca. Peekpa made an impression early on in Last Shot. Here’s an excerpt from page 58. The Ewok cast a sharp look at Han and Lando and then let loose a withering barrage of what had to be vicious Endorian curses.